Lawn Chair Catechism: Session 11, the VERY Late One! Well, nothing like showing up a week late for a party. But I couldn’t skip this chapter of Lawn Chair Catechism, so here we are! Tomorrow I’ll have another post up on this week’s chapter. 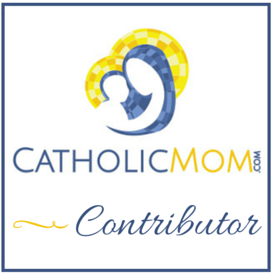 In the meantime, if you haven’t been reading along, head to my dedicated page on this project, hosted by CatholicMom.com. Chapter 10 (“Do Tell: The Great Story of Jesus”) was the chapter I wanted to read when it was mentioned in Chapter 3. My husband is convinced it should have started, “Hey, Chapter 3 cheaters! Go back and read the rest first!” It did not. Instead, the chapter begins with a story Mark Shea told about a woman hearing a song by Joan Osborne called “If God Was One of Us,” and a co-worker commenting how neat it would be if that really happened. He had about the same reaction I had when I heard the song. Um… it did. You know that whole Christmas and Easter thing? Yeah. That. Okay, snark aside, how have we gotten to the point where well-educated people can hear a song like that and wonder if God would ever come to us? How can we help people know it’s true? How do we reach people with the Gospel message, the kerygma, the great story of Jesus? Does our friend know the essential “acts” of the Story? Has he or she connected the dots? Does he or she understand the story as a whole? Does our friend understand the personal significance of the Story? What is or has been his or her response to the story? Are you practiced in sharing the Gospel story? Have you ever heard it told especially well? How can you become more skilled at explaining and answering questions about the Gospel? What are times and places at your parish when the Gospel story could be shared in a few quick words? In more detail? Personally, I’m not sure I am practiced in sharing the Gospel story. Part of this is because until recently, I never considered there were people around me who hadn’t really heard it. I grew up hearing it at Mass, and I guess I didn’t really internalize it until I was an adult. I think sometimes I forget how much of an impact hearing it from a new perspective helped solidify it for me – make it more real, so to speak. I think what really did it for me was when my husband was still investigating Catholicism and took a course a local deacon was offering. The course was Understanding the Scriptures, and while I wasn’t able to go with him, I followed along with a podcast I found online. Hearing the over-arching story of Salvation History changed the way I saw my faith. I internalized it; I had a realization that this was very real, and it was a long time coming, as well. The plan was worked throughout the history of mankind, a little at a time, until Christ came and fulfilled it all. Looking back, the book really follows this basic nine-act story that Sherry outlines in her book. Becoming more skilled is going to take practice, and I’m working on it as I homeschool my kids. I’m really excited that this coming school year, I’ll be using Understanding the Scriptures as my older daughter’s religion textbook! I am hoping that the stories she has heard all her life will take on a new meaning for her as we go through the course, helping her make a decision to be an intentional disciple as she also prepares for Confirmation in the Spring.